SustainableWork: Thank you Again! The World's 50 Most Innovative Companies. Thank you Again! The World's 50 Most Innovative Companies. 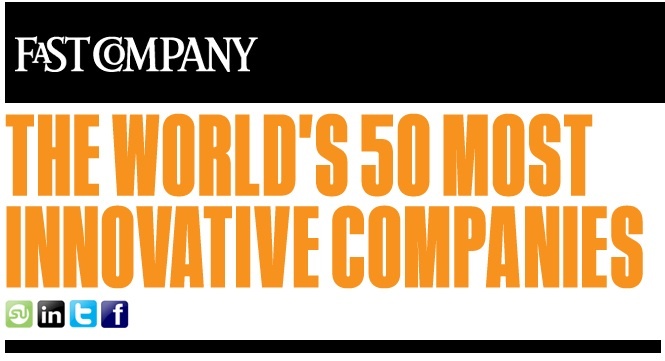 Fast Company magazine's listing of the world's 50 most innovative companies is out in their March issue. A few years ago, Dave and I started and grew a new business with an investment of $3,000 each. We successfully designed, patented and manufactured amazing industrial fluid recycling systems during a significant decline in American manufacturing. We had great customers on 6 continents. We were awarded Fast Company's Fast 50 Award in 2004. The following year, we were honored by being chosen as the United States Small Business New Product of the Year Award, by the National Society of Professional Engineers. I believe the work of the Wisconsin Innovation Kitchen is breaking new ground at this level. Annette (Food Service Director and Mistress of the Universe) and her team at the Innovation Kitchen are remarkable. This effort is creating good jobs for people with disabilities and new opportunities in the world of local foods. I could not be more inspired by the amazing new friends and co-workers I've made through the Hodan Center! 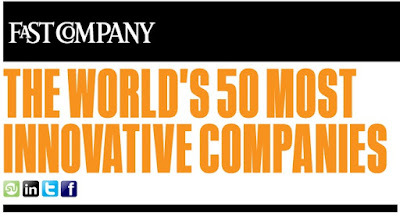 Congratulations to this year's Fast Company 'World's 50 Most Innovative Companies.' And thanks for the shout-out in 2004! Hodan Center Thank you! The Hodan Center owns and operates the Wisconsin Innovation Kitchen. Good source! The term sustainability embraces various principles and practices designed to encourage active preservation of our environment and communities, while also promising attractive financial gains.